How to Apply Online for AIIMS Associate / Additional / Assistant Professor Recruitment Online? 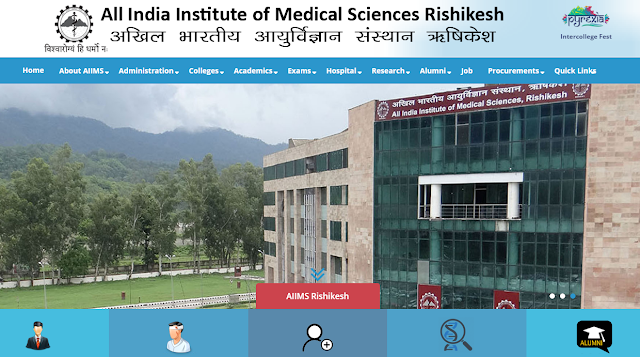 Interested candidate have to visit the website http://aiimsrishikesh.edu.in and apply online for the positions before 30th April 2018. Applicants should take print out of their complete application form sign it and bring it at time of interview along with originals and attested photocopies of following certificates. Medical / Nursing Council registration. List of publication in indexed journals. Any other relevant document to support your candidature. 2. Postgraduate qualification e.g. MD / MS / MDS or a recognized qualification equivalent thereto in respective discipline/subject. 3. M.Ch. for surgical super-specialties and D.M. for Medical super specialties or qualification recognized equivalent thereto. 2. A Doctorate degree of a recognized university.